These reliable home remedies for constipation involve only natural ingredients with potent healing properties for safe relief. Fiber, magnesium and other nutrients in these ingredients will help you get back on the right track in no time. The National Institute of Diabetes and Digestive and Kidney Diseases (NIDDK) reports that roughly 42 million people are generally affected by constipation in the United States. Read about how to prepare these constipation home remedies below. Many consider prune juice to be the all-time best home remedy for constipation. Not only is it an adult favorite, but it’s also among the top home remedies for constipation in toddlers. Prunes contain sorbitol, a substance that provides laxative and stool-softening properties. When consumed in moderation, prune juice can combat constipation effectively. Drink 1 full glass (8 ounces) of prune juice in the morning. Drink another full glass in the evening if constipation didn’t go away after the first few hours. Eat prunes as an alternative to prune juice if preferred. Raisins have a similar effect. Also among the home remedies for constipation in kids that are safe, raisins contain laxative tartaric acid. 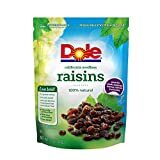 In addition to this, raisins are packed with fiber, a necessary element for relieving constipation. You can replace raisins with apricots or cherries if they’re not available. Soak a handful of raisins in a bowl of fresh water. Eat the raisins and drink the water the next morning before you eat. Eat the raisins without soaking them if you can’t afford to wait. 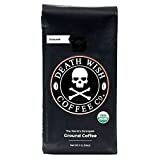 A great number of adults will agree that coffee is one of the fast home remedies for constipation. In fact, many of us use a cup of java in the morning to go to the bathroom before proceeding to work. The caffeine in this hot beverage naturally stimulates the digestive system, but you should drink it with caution. If you exceed 2 cups of coffee, the diuretic properties might kick in. Drink a hot cup of coffee in the morning if feeling constipated. Drink one more cup if the first alone didn’t work. *Make sure you don’t drink more than a total of 2 cups to prevent the opposite of the desired effect. Among the home remedies for constipation that are almost always available are lemons. Their citric acid content fights constipation owing to its laxative effect. 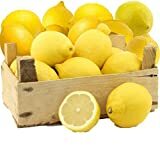 Lemons are best consumed in the form of lemon juice or water when attempting to relieve constipation. Cut 1 lemon in half. Add it to 1 glass of water. Drink the glass of lemon water before breakfast. Repeat in the evening if necessary. 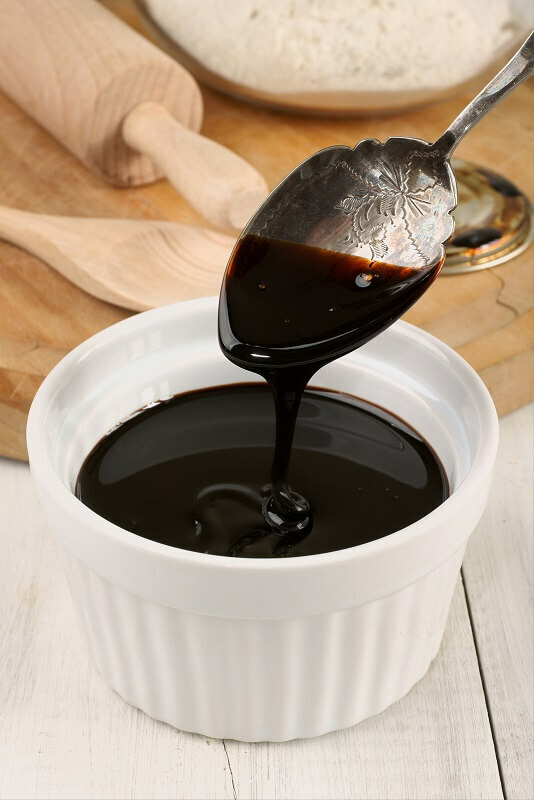 Blackstrap molasses is one of the home remedies for severe constipation you can count on thanks to its high magnesium content. 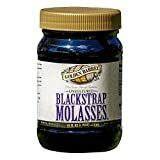 As opposed to traditional molasses, the blackstrap variety contains the highest amount of nutrients required to fight constipation. Eat 1 teaspoon of blackstrap molasses, preferably before going to sleep. Repeat the following morning if needed. If you prefer an at-home remedy for constipation that isn’t liquid, you can count on fennel seeds. They are known not only for offering constipation relief but also healing bloating or indigestion. Fennel seeds support the digestive track by relaxing the muscles. Dry roast 1 cup of fennel seeds. Add ½ teaspoon of fennel seed powder to a glass of water. Consume 3-4 times a day. HIGHEST QUALITY PURE UNSCENTED EPSOM SALT (Packaged in USA): Epsoak Epsom Salt (Magnesium Sulfate) is USP grade. It is GMO free (Genetically Modified Organism). Magnesium isn’t the only reason why Epsom salt is a great home remedy for constipation in adults. 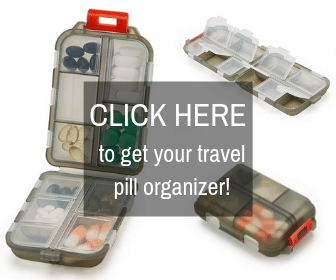 These particular kinds of salts effectively soften the stool while maintaining nutrients, allowing bowel movements to take place. You can also use traditional salt, but you won’t be getting the magnesium content. Stir well until the Epsom salt dissolves. Repeat if bowel movements do not take place in 3-4 hours. Spinach is one of the quickest home remedies for constipation that also doubles as a powerhouse of nutrients. 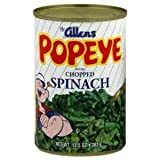 Not only does spinach contain the much-needed magnesium for battling constipation, but it’s also full of vitamins (A, B2, B6, C, E, K), folate, iron or calcium, to name a few. Juice raw spinach until you obtain ½ glass. Mix the juice with ½ glass of water. Drink 2 times a day, in the morning and at night. The laxative properties that come with aloe vera recommend it as one of the most reliable at home remedies for constipation. You can purchase an aloe vera plant and keep it close by for other common issues too, like poison ivy or dandruff. 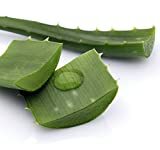 Cut open 1 aloe vera leaf and extract 2 tablespoons of gel. Combine the gel with 1 glass of freshly-squeezed fruit juice. FRESH FLAVOR: One box of 20 Pure Peppermint Herbal tea bags. Delight in the pure, refreshing taste of this warm, savory tea. Steep for four minutes for the perfect cup of peppermint tea. PEPPERMINT TEA: Peppermint is thought to have originated in Northern Africa and the Mediterranean. Our blend is made exclusively from peppermint leaves sourced from Egypt. The fresh, minty taste of this savory tea is pure delight. Another quick home remedy for constipation is peppermint tea. This specific blend of herbal tea has a strong antispasmodic impact, thanks to its menthol content. This substance soothes the muscles in your digestive tract, supporting natural bowel movement. Boil 1 teaspoon of dried mint leaves for every cup of peppermint tea you want to prepare. Repeat 3-4 times throughout the day if required. AMAZING MINERAL SUPPORT - Sesame seeds are possibly the oldest condiment to ever be cultivated by ancient man. It's no surprise why, since each serving of tiny seeds is rich in minerals that are good for your body. Sesame seeds are a great source of calcium which can help prevent headaches and bone loss. Each seed is also rich in copper which has been shown to ease joint pain & inflammation.. NATURE'S SUPER SEED - Because we remove the shell and hull our fresh bulk sesame seeds before delivering them to you, your body can more readily digest and absorb all the nutrients that are jam packed into every natural seed. Each seed is high in healthy dietary fiber. That's great because it helps regulate your digestive system and maintain a healthy stomach, intestines and colon. 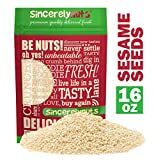 THE BEST CULINARY AID - Whether you eat them whole, grind them into a powder, turn them into a paste or simply add them to your favorite dishes like burger buns, breads, sushi and salads, you'll love using sesame seeds to cook. The seeds are gluten free and plant based, which means they're perfect for vegetarian and vegan dishes like hummus and tahini. Plus, they're always rich and delicious! HIGH IN PLANT BASED PROTEIN - You can use each nutrient rich seed as a low-calorie superfood that helps you reach your daily protein requirements. They can be toasted, roasted or eaten raw and they're still a great source of protein and essential amino acids. They can be easily used as toppings, ground into flour or sprinkled onto savory dinners or turned into sweet desserts. UNRIVALED SOURCING QUALITY - At SincerelyNuts we are committed to the highest quality natural ingredient sourcing and production processes. Our Hulled Sesame Seeds are sourced from high quality farms in India - that means they're grown under ideal conditions and packaged fresh. An age-old home remedy for severe constipation used in ancient Chinese medicine contains sesame seeds. They have an oil-like coating that moistens intestines, subsequently promoting bowel movement. Add a handful of sesame seeds to a salad or bowl of cereal. Repeat in the evening if the bowel movement doesn’t take place. As you have noticed, multiple home remedies for constipation contain fiber. The same goes for grapes, an excellent source of insoluble fiber that you can consume for getting rid of constipation. 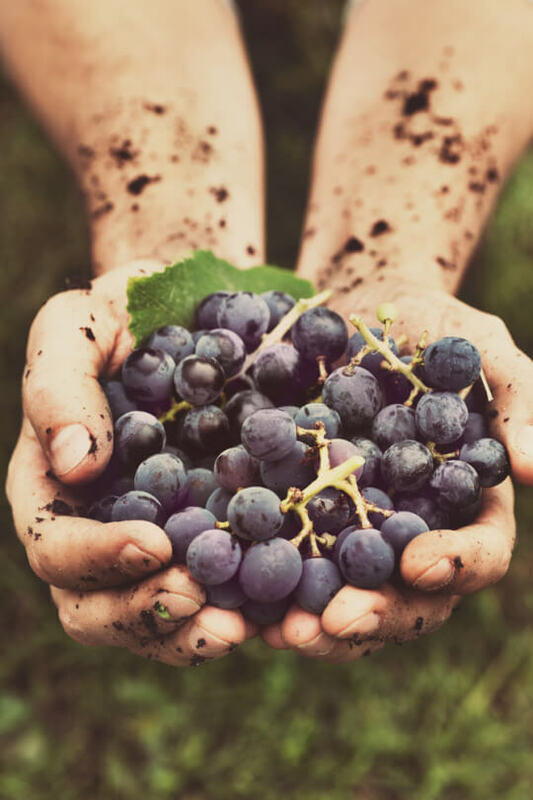 You can use grapes in solid or liquid form, as preferred. Juice grapes until you get ½ a glass. Consume 1 small bowl of whole grapes as an alternative. Repeat daily against prolonged constipation. Yogurt deserves its place among home remedies for gas and constipation thanks to its probiotic content. This ‘good bacteria’ can be found in plain, white yogurt, often regarded as the ‘Greek’ variety. Eat 1 cup of plain, Greek yogurt at breakfast. Consume 2 more cups at different times throughout the day. Dandelions are filled with flavonoids, from luteolin to caffeic acid and chlorogenic acid. These active ingredients work together as home remedies for constipation and can be found both in the leaves and the root of dandelions. Boil 1 teaspoon of dried dandelion root or leaves in 1 cup of water. Allow it to steep for 7-8 minutes. Consume up to 3 cups of dandelion tea a day for constipation relief. Figs are among the best home remedies for constipation because they are super rich in fiber. You should try to consume fresh figs with skin whenever possible, but dry figs will also help. This easy at-home remedy for constipation should be used frequently for those with chronic problems. Soak 3-4 dried figs and almonds in a bowl of fresh water. Crush them after 3-4 hours until you get a smooth paste. Add 1 tablespoon of honey and consume the solution before going to bed. Flaxseeds and flaxseed oil are both wonderful home remedies for constipation. Depending on what’s available for you, use this solution for boosting fiber and omega-3 fatty acids and soothing constipation. Add 1 tablespoon of flaxseeds to 1 glass of water. Wait for 2 hours and drink the water before bedtime for relief in the morning. Combine 1 tablespoon of flaxseed oil with 1 glass of fresh orange juice as an alternative. Drink once every 4-5 hours as needed. 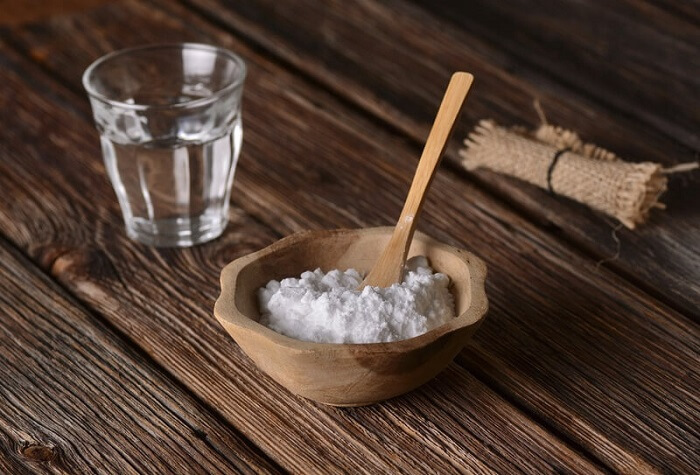 One of the best remedies for bloating and constipation is a common household staple – baking soda. The fact that baking soda is a bicarbonate not only relieves the pain associated with constipation, but it also helps everything loosen so bowel movements can take place. Heat a ¼ cup of fresh water until warm. Add 1 teaspoon of baking soda and stir well. Swallow in 1-2 gulps and repeat up to 3 times a day for persistent cases of constipation. The last home remedy on our list is olive oil. This is one of the most trustworthy home remedies for constipation, as it contains the ‘healthy fats’ your digestive tract requires in order to function properly. To get the best of olive oil, consume it before eating anything. Take 1 tablespoon of pure olive oil in the morning, prior to eating breakfast. Combine with 1 teaspoon of freshly squeezed lemon juice if it’s difficult for you to swallow. To finish up our selection of home remedies for constipation, we want to stress that severe constipation will always require medical attention. In some cases, extreme constipation can be a symptom of a far more serious disease that requires specific treatment. As a result, don’t hesitate to contact your doctor if constipation doesn’t go away in a few days. If one or more of these remedies worked for you recommend it to others in the comments section below!